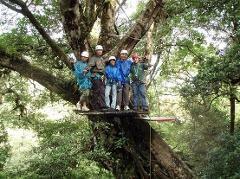 Undoubtedly, the canopy tour in Monteverde is one of the most attractive and exciting activities you can enjoy. It is a perfect combination of adrenaline, adventure and nature, together with the beautiful cloud forest landscape which will make this tour an unforgettable experience. The tour starts with a short talk about the equipment you use, given by your guide, building confidence and offering a few laughs. Then you start your adventure. 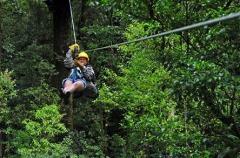 The Tarzan Swing is one of the most exciting parts of the tour--this "feat"can be done by anyone, without problem. 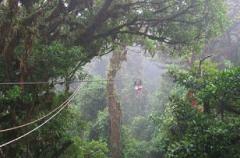 Then you pass through the treetops via rope canopy cable, which feels like you're flying through the forest. Along the way, your guide team will review the safety guidelines for you. At the halfway point you'll reach the Rappel section, where you can enjoy a quick rope descent of about 150 feet, always helped by the guides. This is a moment of pure adrenaline. 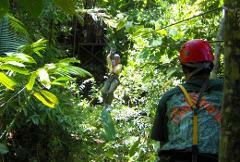 Amid the wonders of the rain forest and this unique adventure, you can also observe animals and plants in the ecosystem. Original Canopy Tour Monteverde ™ was the first company in the world dedicated to tourism of "canopy tour" and was created to give opportunitiy to our visitors to enjoy the most exotic and axciting adventure of their lives, while create environmental awareness in participants amd show them that if they could have a sustainable development with nature. 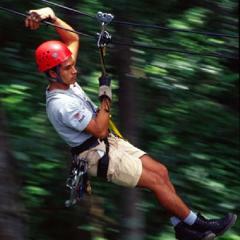 The Original Canopy Tour Monteverde ™ has over 15 years of experience in the business of canopy tour, for this reason, we provide a quality service with the higest security. Our staff is highlt qualified and trained. The Original Canopy Tour Monteverde ™ uses techniques developed by practitioners of declines in caves, canyons and hills to provide the opportunity to ascend the cloud forest canopy and have the good fortune to observe the forest from a perspective that only one group of selected scientists and photographers could have. You cross the cloud forest from tree to tree and from platform to platform using a combined system of pulleys and horizontal strings. 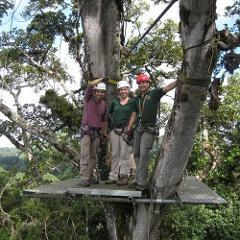 Our expert guides will give assistence in thie incredible journey through the different layers of the cloud forest. Our tour located in a rpivate reserve just 10 minutes from the town of Santa Elena and mos importantly, is safe and fun for the whole family. 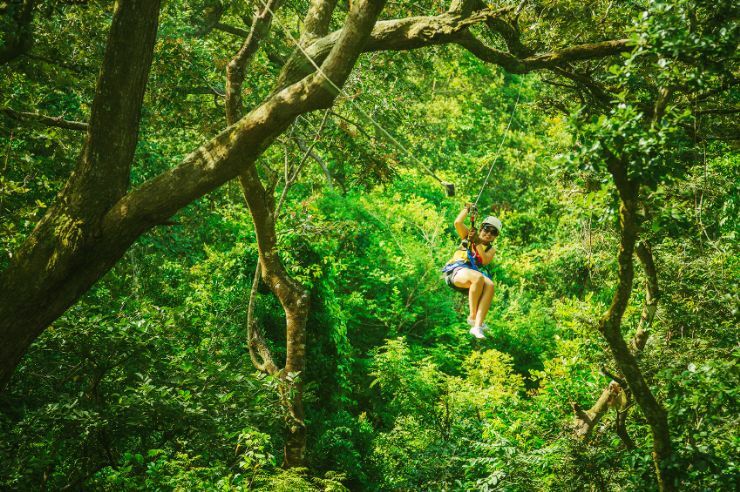 For the nature lovers we recommend you visit the The Original Canopy Tour Monteverde ™ to enjoy a naturalistic tour, and if mixing adventure and fun with the higest security.